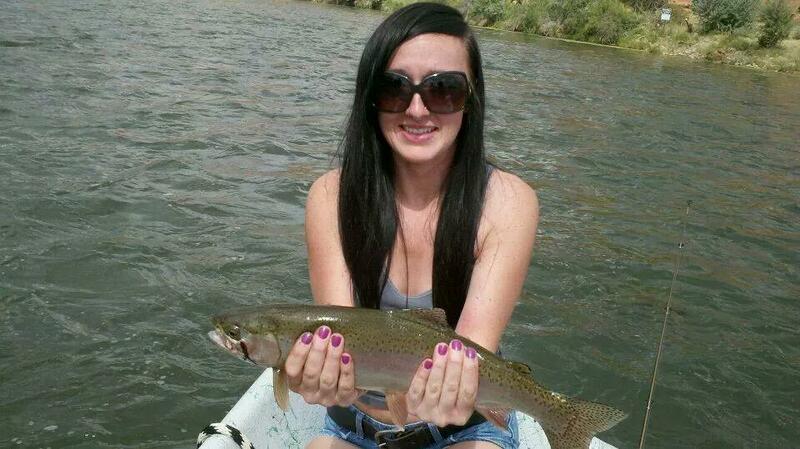 Sorry, Big Horn River Outfitters has been off-line as far as the Big Horn River Fishing Report goes. Fishing has been good the last couple months although I haven't had the opertunity to fish The Big Horn River that often. 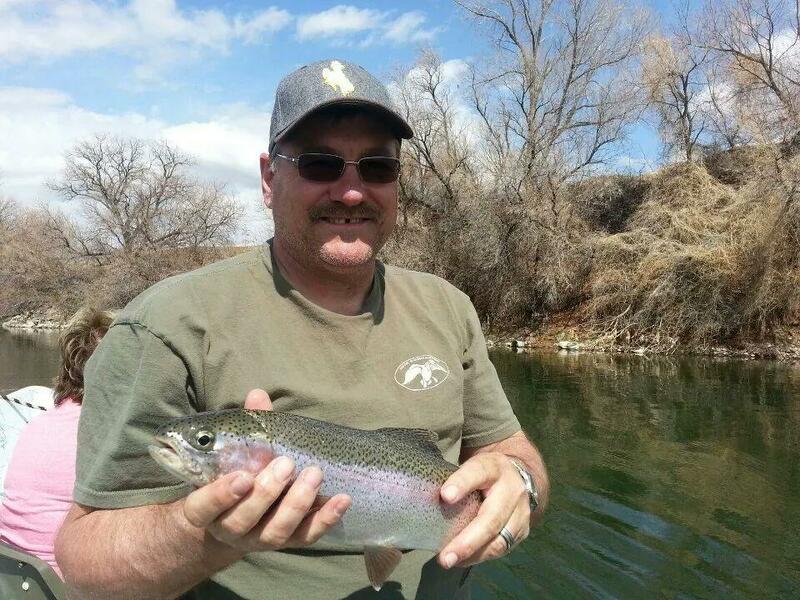 When fishing the Big Horn River, I've done well on Smaller streamers, stripping very slowly. Some of the Big Horn River Outfitter guides have reported large fish in slow deep pools fishing small nymphs. On warm afternoons, we have caught fish on the surface with small black midge patterns. Hope you've had a great year fishing so far. 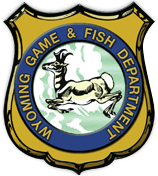 July 20th thru July 26th Bighorn River Fishing Report. 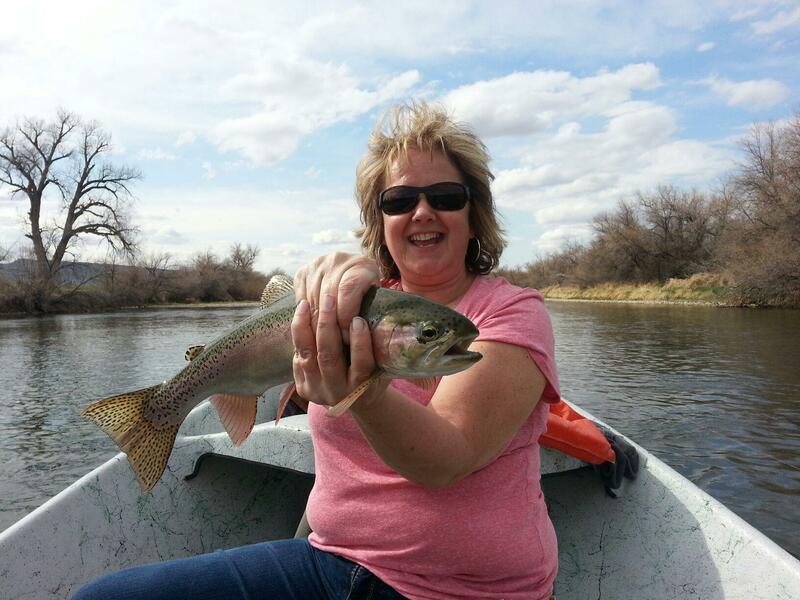 Flyfishing on the Bighorn River with Bighorn River Outfitters this week was very good. A few days were a little tough casting while fly fishing due to the wind but the fishing was still good. Fish were taken early on the surface on dry flies (blue wings, tricos, and pmd's) and small nymphs and wets later in the day. (brassie, prince, pheasent tail, san jaun and buggers etc.) The flows on the Bighorn River were still a little high at 2200 cfs, dropping to 1750 on thursday the 24th, but the fish are feeding well and found in typical runs and riffles. Temps are up there in the low hundreds but fish still take nyphs during the hot part of the day. Bighorn River Outfitters flyfishing guide survice would like to thanks all anglers that used our flyfishing guide serice this week. Good fishing to you all. Tight Lines! 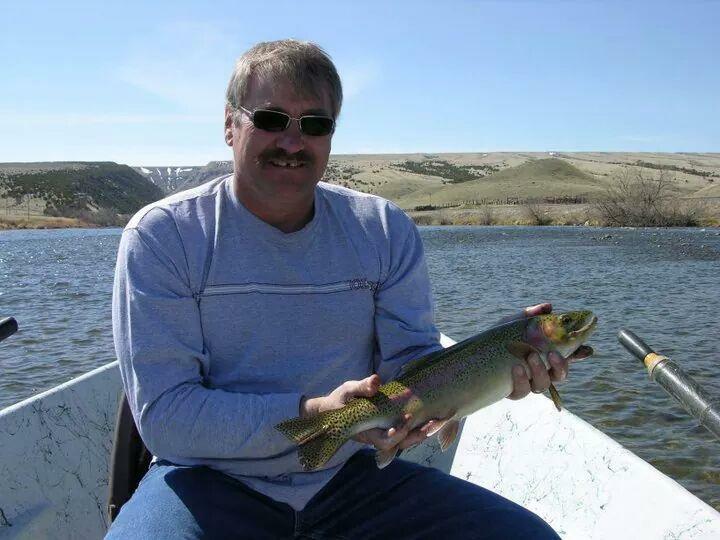 This week the fishing on the Bighorn River has been pretty good. The flows were increased from 1600 cfs to 2760 cfs which made fishing a little tough for a couple days. About the time the fish started feeding steady, the rain came and muddied the water for a couple more days. Wets and nymphs still worked well as did small dries casting to rising fish. Weather looks good and fishing should just get better.